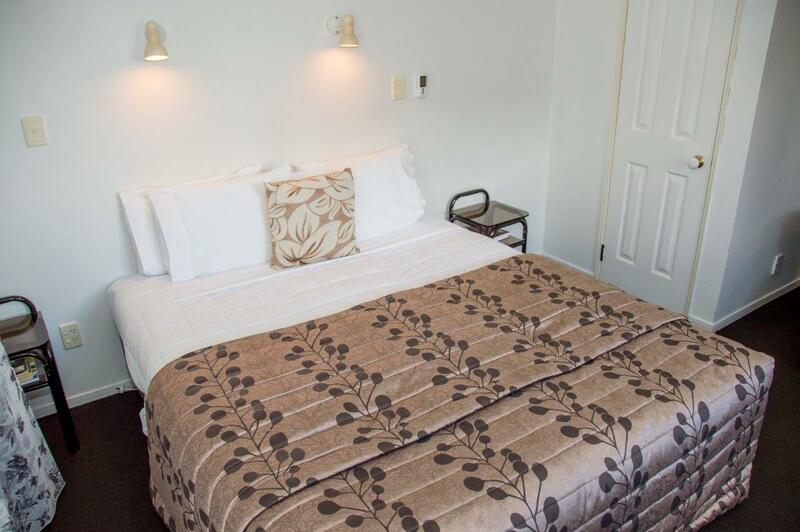 Clean, spacious and recently refurbished, our 14 ground floor units are designed for your comfort, each featuring your own spa to soak away your day, in the privacy of your own Rotorua motel unit. 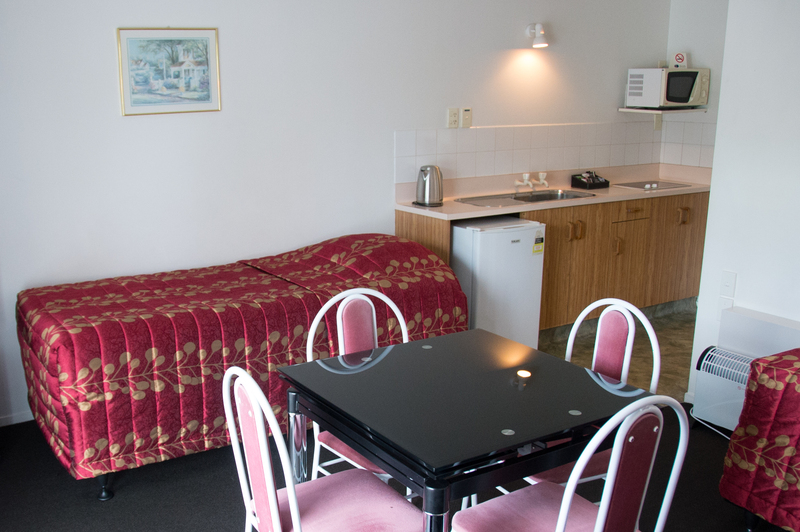 Rose Court Motel Rotorua provides quality, centrally located Rotorua accommodation at an affordable price. 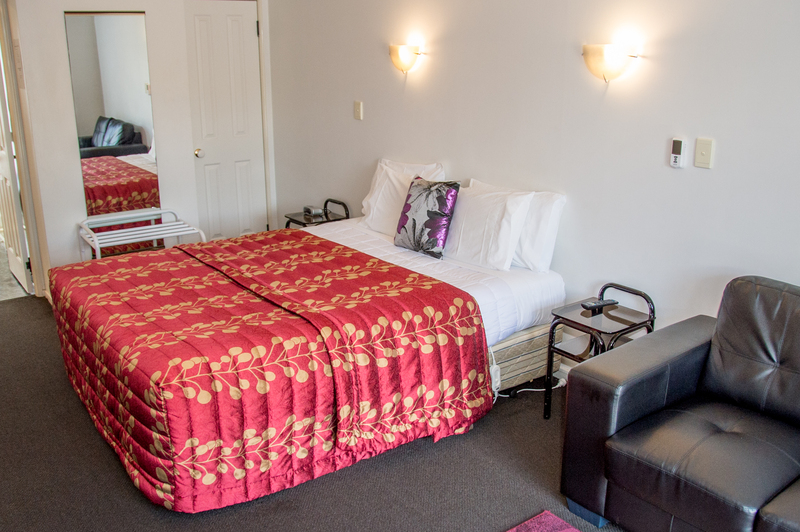 Whether your stay is with the kids for a Holiday in Rotorua, or a romantic weekend getaway, for business, or a bit of a blend – our selection of studio, one or two bedroom units is the perfect Rotorua Motel for your needs. For larger groups or families, our interconnecting units are ideal – with twice the space and two bathrooms. During your stay in the nature, culture and adventure capital of New Zealand, your hosts Gary and Sheila Wilson are happy to recommend the best Rotorua activities for you. Take to the world-famous RedWoods mountain biking tracks for an adrenalin-rush, or maybe a dip in the pristine lakes of Rotorua, see bubbling mud and sky-rocketing geysers at nearby Whakarewarewa, or meander the shops, restaurants and cafes in the central Rotorua precinct. Our One bedroom units consist of a separate bedroom with one queen size bed plus two single beds and a fold out sofa bed in the lounge. Our two bedroom unit consists of a king bed in one bedroom, Queen Bed and 1 single in the other bedroom. This unit has a king (or Queen) size bed. 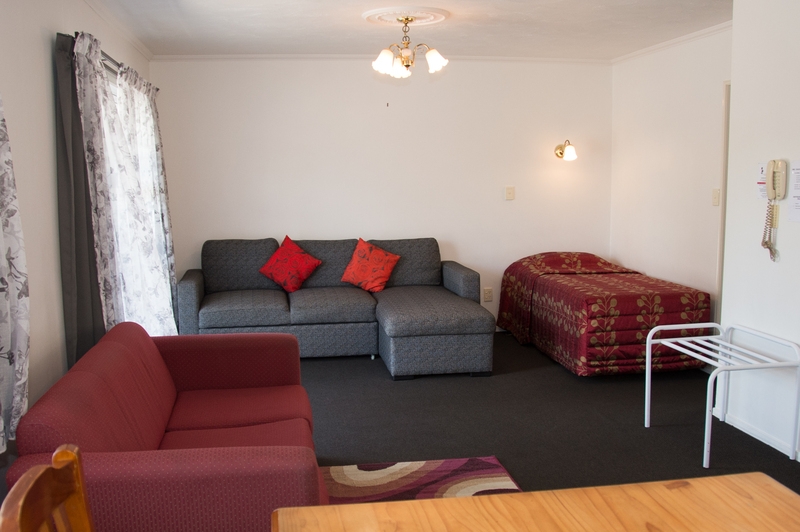 Separate kitchen, bathroom, TV, Free WiFi, hairdryer, heater and an indoor spa pool. These rooms feature a small kitchen with a microwave, bathroom with large walk in shower and an indoor spa.TV, Free WiFi, hairdryer, heater. The place was Comfortable and they have a very nice customer service. Gary was friendly and accomodating. Good location. Very close to amenities and attractions. Countdown supermarket is nearby. I will definitely recommend this place. Our stay was awesome. All the staff were friendly, the room we had was excellent we even had a private spa. The daily service of the apartment was outstanding. The apartment had all the mod cons and the beds were very comfortable. Thanks for a great stay.